There are many popular misconceptions about Independent schools. This page examines some of the most commonly repeated myths, and provides some up-to-date facts. For more detailed information see the individual sections of About Independent Schools and ISCA’s Independent Updates. Myth: Independent schools are over funded by government. 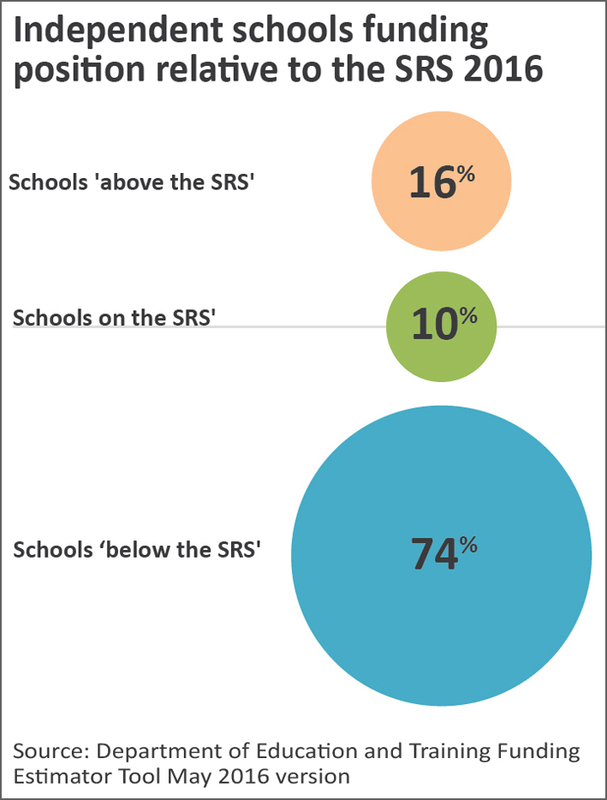 Fact: The majority of Independent schools sit below their public funding entitlement. Some Independent schools are above it and are in the process of transitioning to their new level. For decades Commonwealth Government funding for non-government schools has been based on need. Different funding models over that time have changed the way need is assessed. When governments change the way need is assessed, the effect is that the funding entitlement of schools changes. For some schools this means that their Commonwealth funding entitlement goes down and, due to the level of funding they have been receiving, they are suddenly deemed to be “over-funded”. This was the case for some schools with the introduction of the SRS, or “Gonski” funding model which came into effect in 2014. These schools are in the process of transitioning down to their new public funding entitlement, and currently 8% of these schools have already completed that transition. Calculated individually, there are also many schools in the government and Catholic systems that would be sitting above their new funding entitlement level. However, as those schools are part of large systems that receive an overall funding entitlement to cover all their schools, it is not possible to tell if individual schools in those systems are below, on, or above their new funding entitlement. 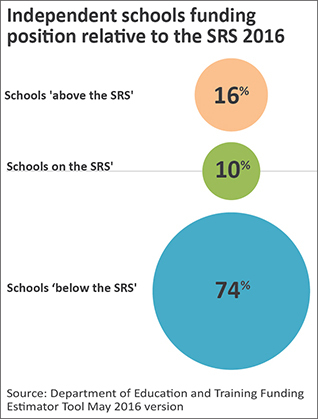 If the Independent school sector was a system, it would also sit below its new funding level – so there would be no ‘over-funded’ Independent schools. For more information on the SRS funding model see ISCA’s Independent Update 3.